As I prepare to move out of Orlando/Orange County after 22 years of residing here, I am confident that with the ever-growing crime wave among unemployed young black males and the irrational thinking of our local elected officials, we “can” and will hit the 100-homicide rate. Sadly, although commendable, the newly formed task force organized by Orange County Sheriff Jerry L. Demings, who by the way supports Orlando’s decriminalizing small amounts of marijuana, will not adequately address or solve the increase in Orlando/Orange County’s murder rate which is on a pace to exceed 100 homicides. So far this year, I have personally known three (3) of the homicide victims. The Greater Orlando area has been task-forced to death with no real solutions or commitment to address the increase in violent crime. Organizers have purposefully kept community stakeholders such as realtor Phil Cowherd, family business-owner Lawanna Gelzer, and other critics like myself out of their meetings by not inviting us or not adequately informing the public of their meetings. This effort to keep stakeholders who are critical of the police and city officials out of community meetings, which are often organized by local elected officials, clearly shows that these so-called public servants want to avoid public criticism more than a desire to truly engage the community for substantive dialog that would address the contributing factors of Orlando’s increase in violent crimes. 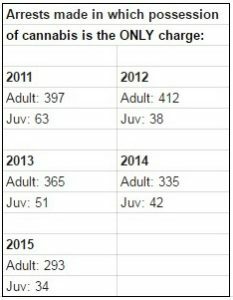 Data provided by the City of Orlando and Orlando Police Department. With a 4 to 3 vote yesterday (May 9, 2016), the Orlando City Commission voted to decriminalize small amounts of marijuana. That means that a person can legally carry under 20 grams of weed and face a fine. The new ordinance goes into effect October 1, 2016. This is Orlando’s answer to unemployment among blacks males which has doubled since Barack Obama became president. This marijuana-carry ordinance is Orlando’s answer to the 53 homicides we have had in Orange County so far this year where it is likely to exceed 100. 1) Once-Indicted Mayor Buddy Dyer who is owned and controlled by the mayor of Orlando’s shadow government, namely, Attorney John B. Morgan. 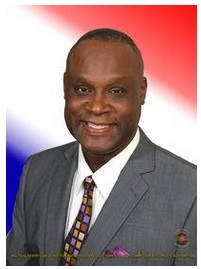 2) District 3 Commissioner Robert Stuart who is the swing vote. Stuart runs the so-called Christian Service Center where he receives over $60,000 a year salary besides the $50,000 plus salary he receives from the City of Orlando. 3) Commissioner Patty Sheehan the longest-serving commission member (2000). 4) Commissioner Regina Hill who has been arrested 21 times on various charges even for possession of drugs. She should have disqualified herself for bias and a conflict of interest. Commissioner Hill also has two sons who have been arrested on drug charges as recent as 2015 in the home that she owns. And marijuana was reported on the arrest report though the charges were later dropped/dismissed. The commissioners who voted against the ordinance were two former Orlando police officers and a Republican. They are District 1 Commissioner Jim Gray, District 2 Commissioner Tony Ortiz, and lastly, District 6 Commissioner Sam Ings. And if we are to adequately address the irrational thinking of the Orlando City Commission who have been manipulated by the like of attorney John B. Morgan, we MUST push for terms limits in Orlando. And this is not just an opinion of mine that attorney John B. Morgan has tried to manipulated local officials, he in my opinion has admitted it. Fact: John Morgan now admits he hoped pot initiative would help elect Charlie Crist. Now, let’s make a concerted effort and truly be For The People and push for term limits. Thank you for your time.